Bukit Komanwel (Commonwealth Forest) Park & National Stadium. From the Bukit Jalil metro stop, do the 1.5 km loop around the pleasant park, with its small pond. Then head to the pedestrian/bike path, for a 1 mile loop around the Bukit Jalil National Stadium. Bukit Jalil Recreational Park. 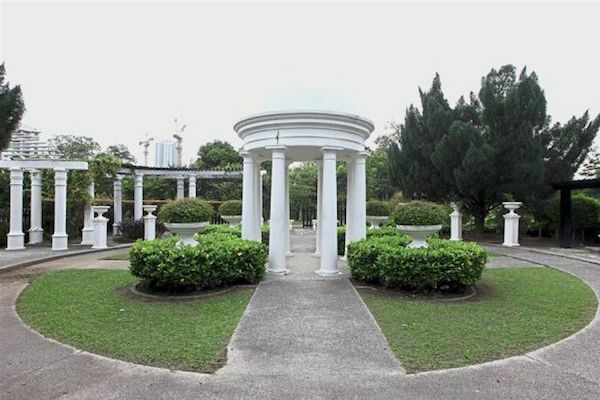 This pleasant 80-acre park has jogging trails and an international garden. Some steps as well to get in some hill work. A loop is about 2 km. You can combine Bukit Komanwel and Bukit Jalil, which are about 3 km apart, using the Jalan Jalil Perkasa roads. They are tree-lined and have sidewalks but are busy. You can also take a bus along the road, or a quick train ride to Awan Besar.